Signed: At upper left. 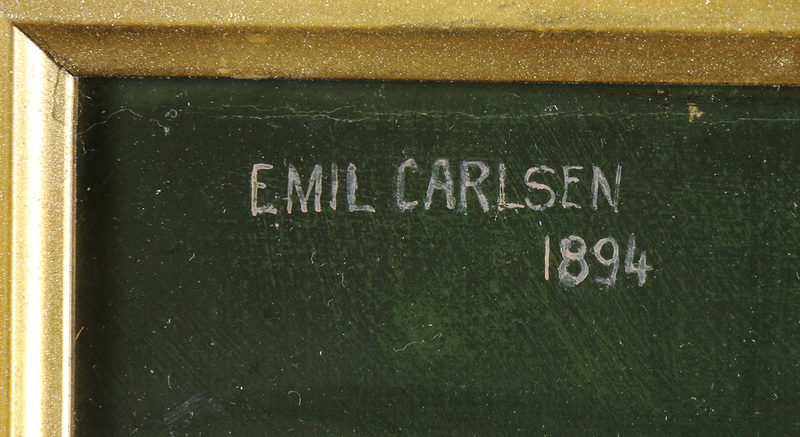 ‘EMIL CARLSEN 1894’. 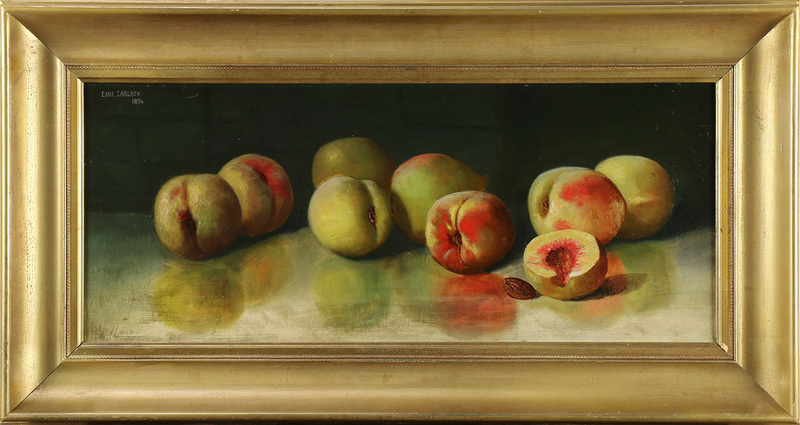 2016 Clars Auction Gallery, Oakland, CA, Auction Sale, February 22. 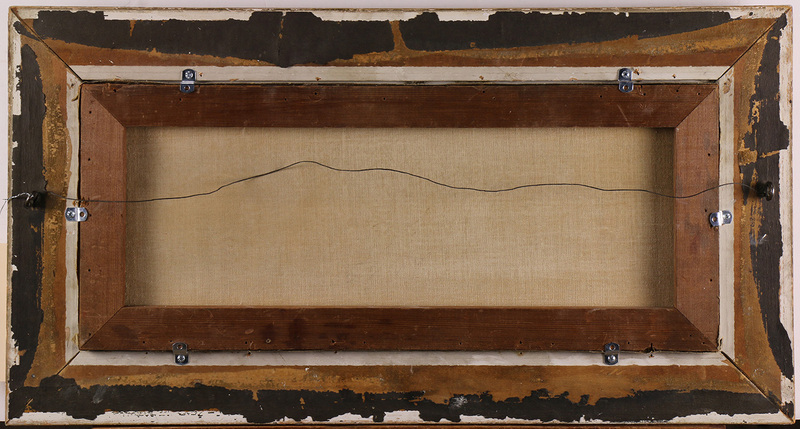 – Clars Auction Gallery, Oakland, CA, Sale Catalog, February 22, 2016, Lot #2206. – High res images provided by Clars online team.